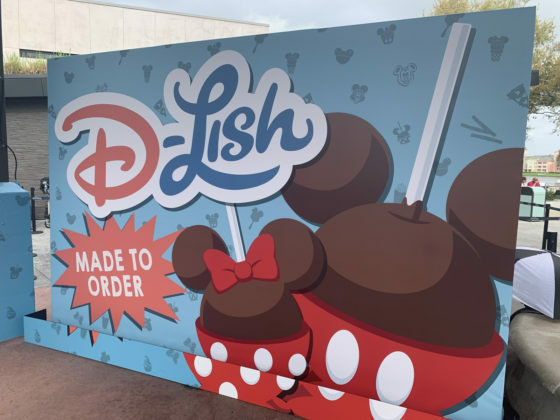 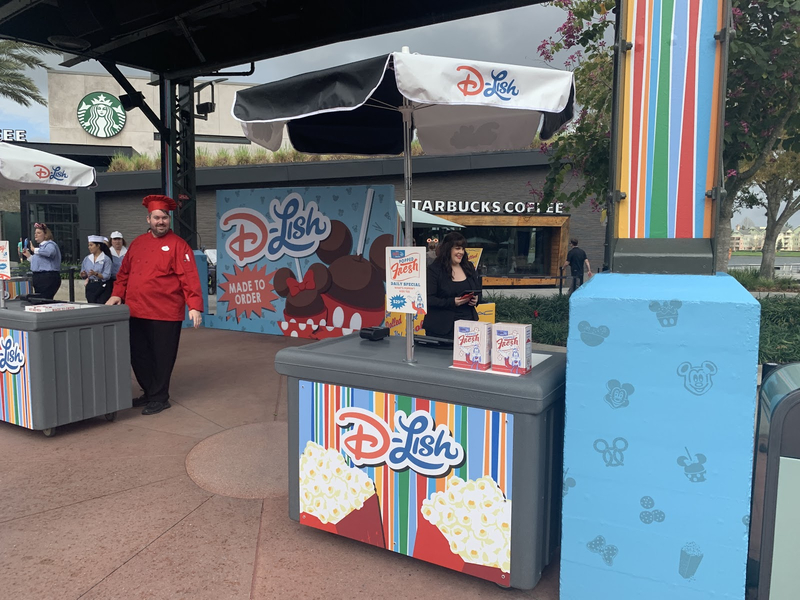 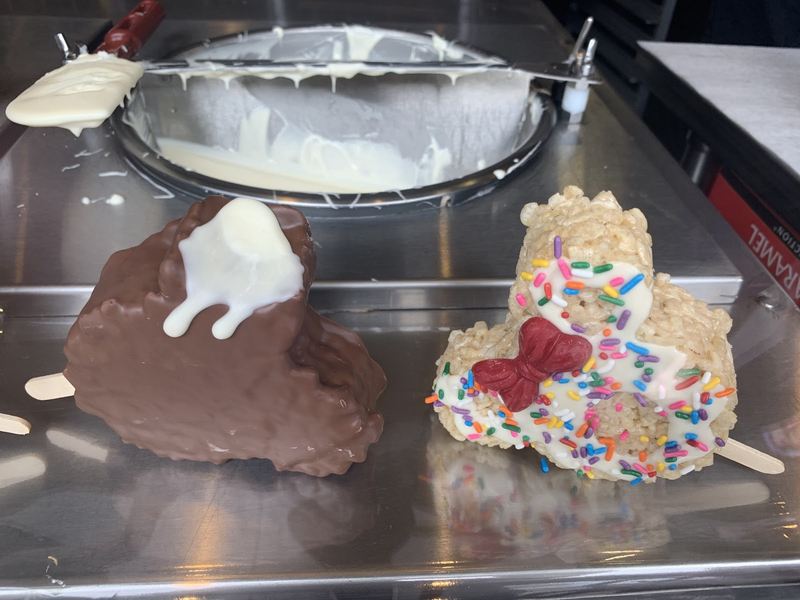 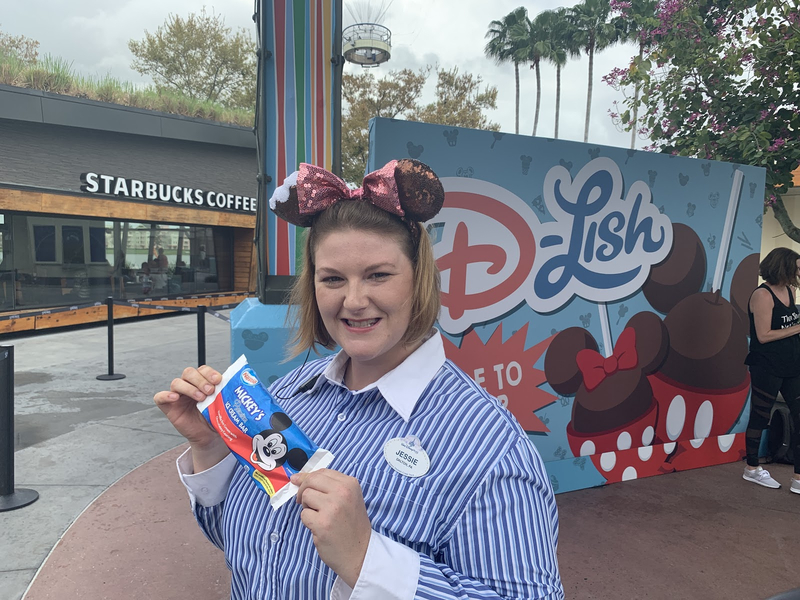 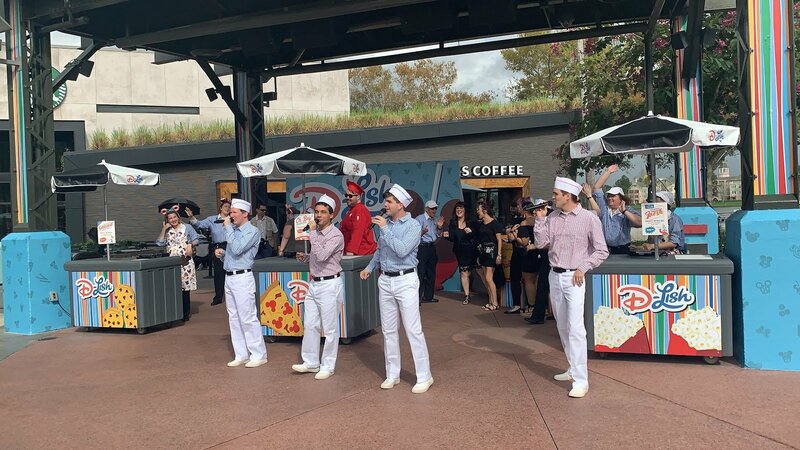 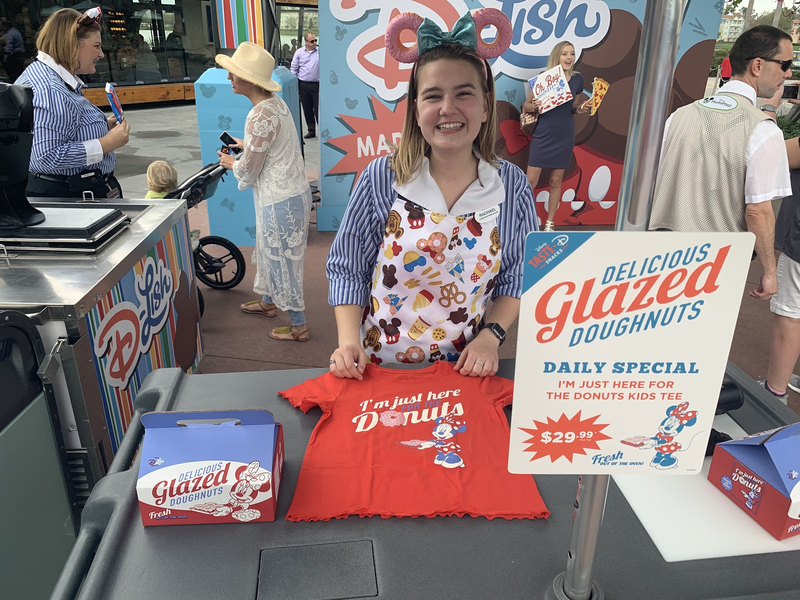 From now through February 24th, Disney Springs is hosting a Disney D-Lish pop-up event. 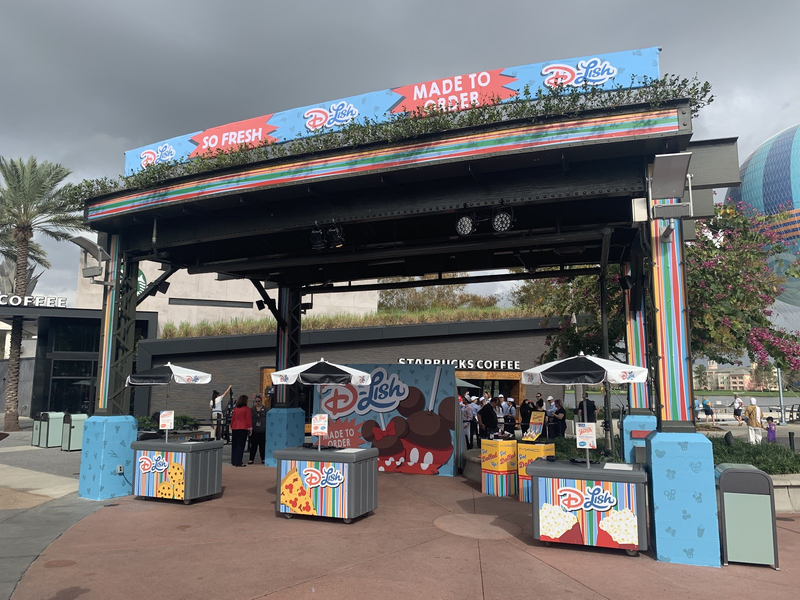 The event takes place on the Westside between Starbucks and Characters in Flight, across from Disney Style. 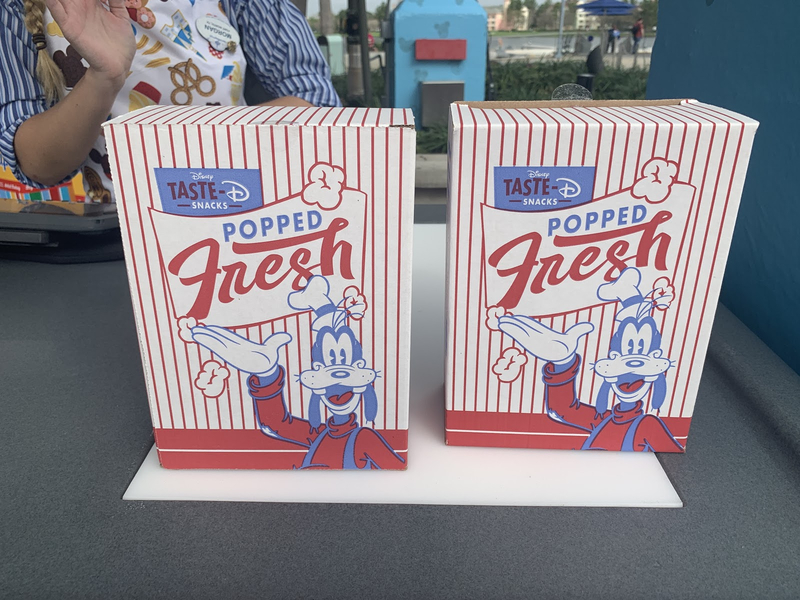 Merchandise is sold at “snack kiosks.” The special apparel is sold in themed boxes. 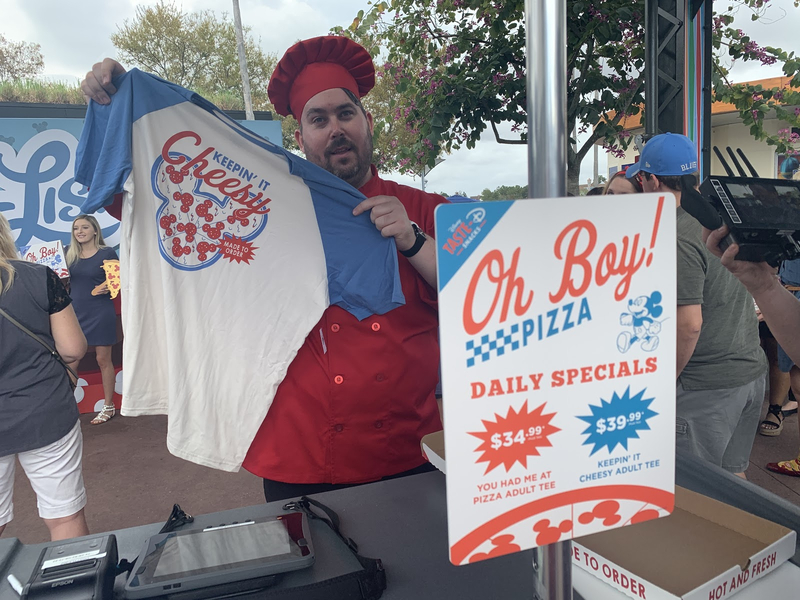 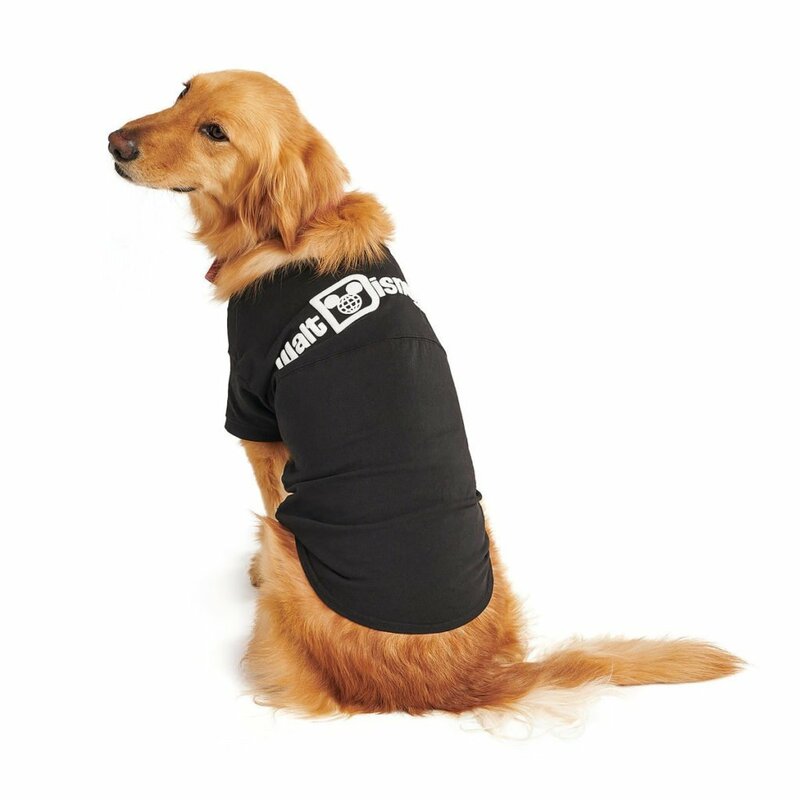 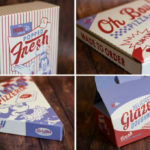 For example the popcorn t-shirt comes in a popcorn box while the pizza shirt comes in a pizza box. 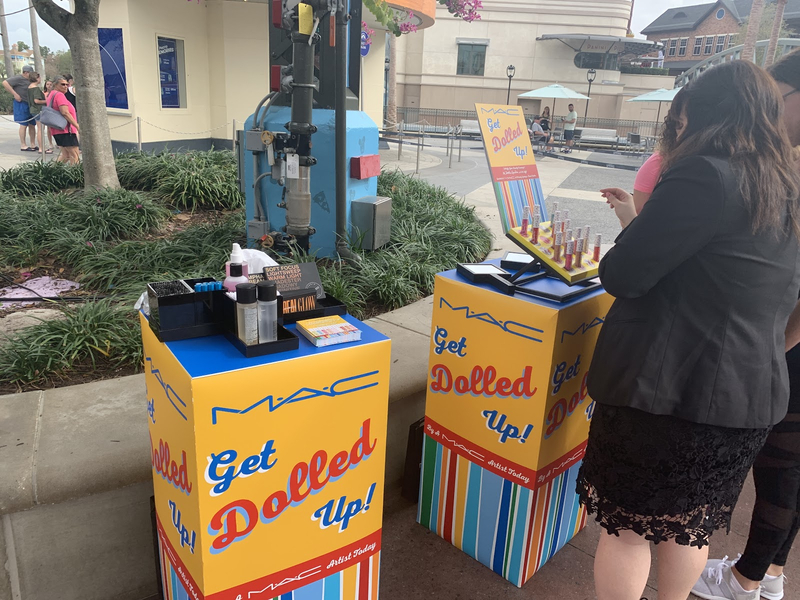 M-A-C Cosmetics offered guest food-themed mini-makeovers as well as featuring snack flavored products. 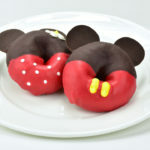 Guests were also to get special made-to-order treats and complimentary Mickey Premium Bars. 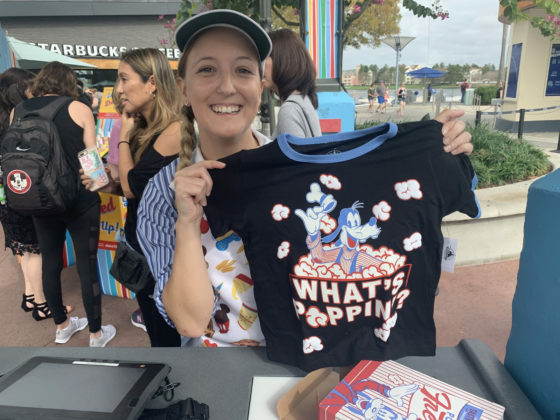 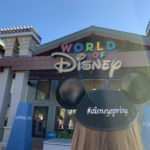 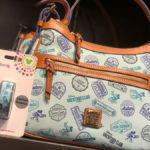 While this is a limited-time offering at Disney Springs, there are other exciting offerings on the horizon including Jaleo, the NBA Experience, Ron Jon Surf Shop, and more.